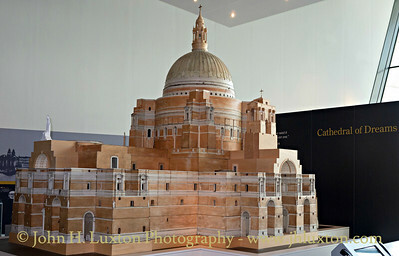 Sir Edwin Lutyens was commissioned in 1929 to design a new Roman Catholic cathedral in Liverpool. 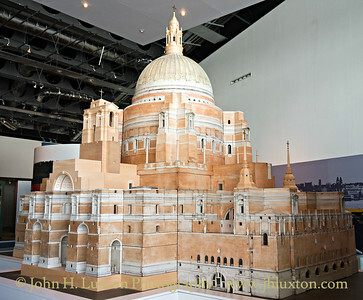 He planned a massive building of brick and granite, topped with towers and a 510-foot dome, with commissioned sculpture work by Charles Sargeant Jagger and W. C. H. King. Work on this magnificent building commenced in 1933, but was halted during the Second World War. Following the war, the project stalled due to a lack of funds, with only the crypt completed. 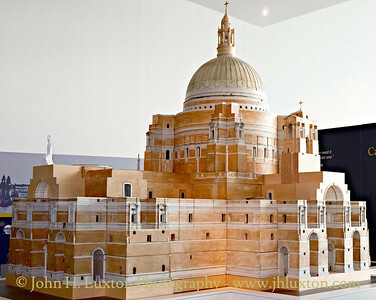 A model of Lutyens' unrealised building was given to and restored by the Walker Art Gallery in 1975 and is now on display in the Museum of Liverpool at the Pier Head. 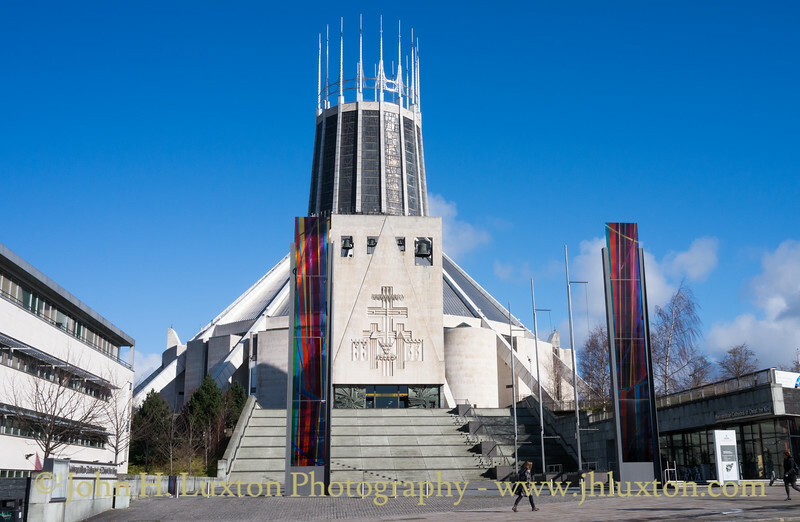 Sir Frederick Gibberd designed the current Liverpool RC Cathedral which was built on top of the Lutyen’s Crypt and consecrated in 1967. 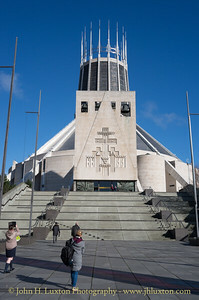 The Liverpool Roman Catholic / Metropolitan Cathedral was designed by Sir Frederick Gibberd (1908–84). Construction began in October 1962 and less than five years later, on the Feast of Pentecost 14 May 1967, the completed cathedral was consecrated. The steps leading to the front of the cathedral were only completed in 2003. 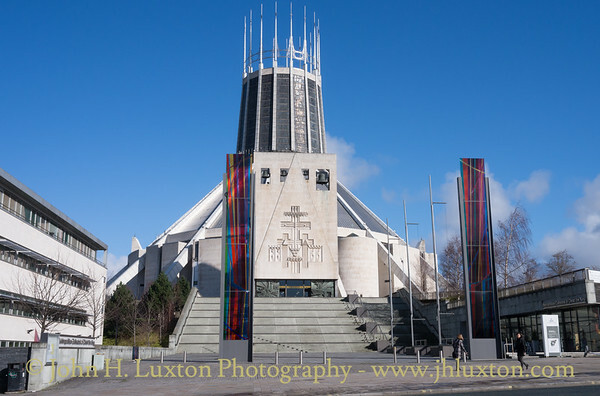 The Liverpool Roman Catholic / Metropolitan Cathedral was designed by Sir Frederick Gibberd (1908–84). Construction began in October 1962 and less than five years later, on the Feast of Pentecost 14 May 1967, the completed cathedral was consecrated. The steps leading to the front of the cathedral were only completed in 2003.